Nothing can match the rush you get from hearing a newly remastered version of a record you’ve lived with for nearly 40 years, especially if the remastering job is done right. It’s all about the nuances you never knew were there that magically appear, making something that had been so ingrained in your memory sound brand new again. 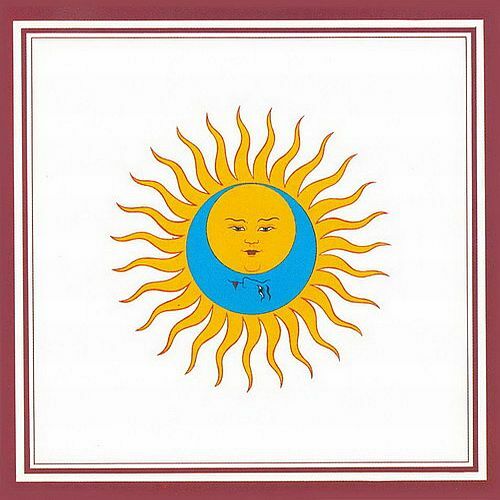 Such was the blissed out rush I experienced this morning on my way to work when I listened to the just re-released King Crimson album Lark’s Tongue In Aspic. In the ever changing world of Crimson lineups, this one came to be after the tour for the albumIslands. Fripp immediately turned his attentions to assembling live tapes from the tour, resulting in the clunker of an album Earthbound. Then he began to focus on developing a new edition of King Crimson. Jamie Muir was a percussionist who came into Fripp’s orbit via a recommendation by a writer from the British music tabloid, Melody Maker. Fripp thought his playing was interesting, but rather busy. Around the same time, Fripp also spoke to Bill Bruford who had just completed the recording of Close To The Edge with Yes. 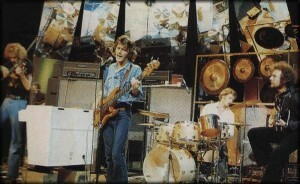 Bruford was tiring of his tenure with Yes believing he’d gone just about as far as he could go within the confines of the group and their ever burgeoning fame. Fripp liked Bruford’s playing and decided to ask both Muir and Bruford to join Crimson. The two-drummer lineup was filled out with John Wetton on bass and vocals (who decided to leave his gig with the band, Family, to join as lead vocalist) and David Cross on violin. This was the most experimental lineup of the group yet, and unfortunately, they were only together for one tour and the recording of the album. When the band was to tour in support of the newly released Lark’s, Muir abruptly left the group to reacquaint himself with his spirituality. It’s a shame too, because not only did Muir add some of the most unusual percussive colorings to the mighty Crimson, but he was said to be a visual dynamo spitting fake blood and running all over the place. The new reissue also includes a DVD with all of the video footage that exists of this lineup — two songs from the then-unrecorded Lark’s record and an extended improvisation – taken from a taping they did for the German TV show The Beat Club. 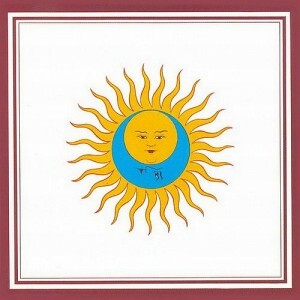 Lark’s Tongue is indeed one of Crimson’s most difficult records, featuring extended instrumental workouts like the title track (performed in two parts at the beginning and end of the record) and The Talking Drum. The vocal tracks include the live staple Exiles, Book Of Saturdays and today’s Song Of The Day, shining a light on the dynamic vocals of John Wetton.